Are you feeling stressed out about picking out the perfect holiday party invitations? Let go of the stress and relax during this wonderful time of the year. We have holiday party invitation templates that will meet all of your needs. This is a great way to send out a classy invitation without worrying about additional expenses. You do not need to spend hours in front of a computer or in a store picking out your holiday party invitations. 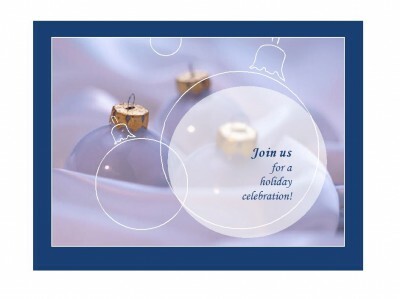 You can access holiday party invitation templates for free on this page. These templates are completely customizable to fit your needs. You can even customize the greeting on the card. The party invitations are fun, classy, and perfect for every holiday party. The holiday party invitation templates are very easy to use and can be downloaded on this page today! Once you have selected the holiday party invitation of your choice, you will simply click the “download” button located on the right side of the webpage. When the file has downloaded, you will open the file and begin to customize the invitation with your party information. You can change the greeting on the card to anything you want. Do not forget to include all the important information such as location, date, time, and phone number. Once you have perfected your invitation, you are ready to print them out. You may want to print a couple extra copies to have them on hand if anyone needs one. Before you make your final decision on the holiday party invitation template, there is a brief description of the template that explains the design, size, or how it is composed. This will help you find a template that best fits your needs. If you do not want to change the greeting that is provided on the card, you can absolutely use the greeting as it appears. After you have designed and printed out your invitations, you may want to save the file, so you can refer back to it if necessary.